At Violet Care we are here to serve you and your family when you need us most. Violet Care Agency, will provide the following home health care programs at flexible schedules and cost-friendly service rates. This table shows different levels of live-in care support that can be provided by giving examples of the typical duties that a live-in carer may complete. Our pricing depending upon the level of support required. If you require services on a public holiday, overnight services or live-in services, please call 01279 434444 so we can discuss prices with you. 1. What is live-in care? 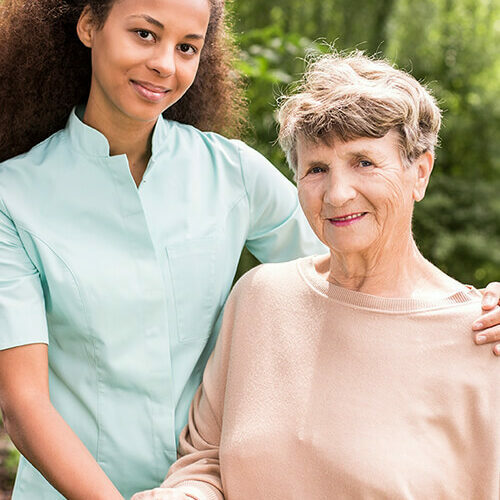 Live-in care means that your care assistant will live with you in your home to be around throughout the day to assist you as required also in the night. It’s perfect for people that need help with daily activities and prefer to stay in the familiar surrounding of their own home. A live-in carer helps you maintain the lifestyle that you are used to in your own home. 2. How can I be sure that i will get the right carer? Once we have completed the detailed care assessment in your home we will have a much better picture of which carer will be the best fit. Where possible we always take into account all of the small details that will make a difference to the experience of care that you receive. We look into things like your primary language, hobbies, interests and we look into activities that you may be interested in learning or participating in with your carer. Once we have all of this information we will select a candidate for you. We arrange an introductory conversation with you. After this conversation has happened and both parties are happy to proceed final arrangements can be made for your carer to start work. 3. How can we promise you the best? One of our core values is that ‘We will not refer a carer into your home that we would not welcome into our own home.’ We want you to receive the care that we want for ourselves and so similar to any working professional, we only hire caregivers that have trust, compassion, stability, and hope. we have several hundred applicants weekly and we make sure that we only shortlist those that we are sure will permeate our core values. 4. What if we don’t like our caregiver? 5. Will we have a choice in selecting the carer? Our Care coordinators are able to complete the hiring process for you as all have been trained with upto date safer recruitment practices which are there to ensure safeguarding is considered at every stage of the process. However we understand that sometimes some families like to participate more in the recruitment process and we welcome this too. At the end of the day we are here to assist you and want you to be involved as much or as little as you’d like to be. we are here to help and from beginning to end the process is for you and about you so anything improving your well being is welcomed as a part of the process. 6. What is the process of finding a caregiver? Click here to find out how the process of hiring a carer is working. 7. How does live in care work? Live-in care offers a number of benefits over other forms of care making it a wonderful alternative to residential care. Live-in care allows you or your loved one to remain in the familiar and comforting surroundings of your own home, receiving bespoke one-to-one full time care from a specialist. There is no stressful upheaval of relocating and no unnecessary changes have to be made to your daily life. Live-in Care is all about you. 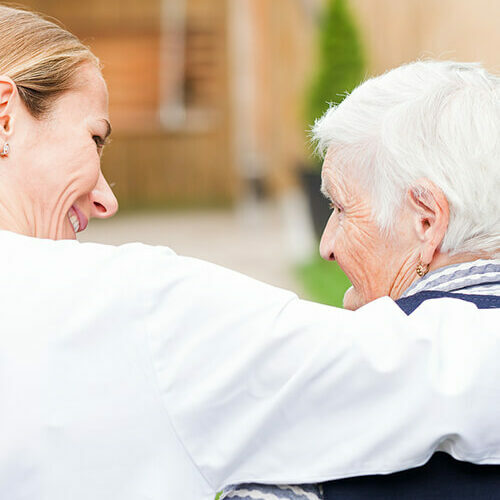 Unlike a residential home where many individuals have to be considered, live-in care is a personal service that is tailored to your needs and yours alone. The support and companionship of a live-in carer, helps to reduce feelings of loneliness and vulnerability. Indeed, our live-in carers actively encourage sociability and are always on hand to take their clients on outings to add variety to their lives. The family has peace of mind knowing that their loved one is cared for 24 hours a day and that they can visit and call whenever they want without visiting restrictions that some care homes may impose. Not only is Live-In care a preferred option for many people, but it is also affordable when compared to residential care or nursing homes. For couples, it is a particularly cost effective solution when one carer can take care of two people. 8. When is live in care appropriate? In a recent poll 97% of people stated that they would prefer to remain in their own home than move into a residential care home. Violet Care Agency LTD Live-in care enables just that. Where you require an extra pair of hands – a Violet Carer can provide assistance with those things that may have become challenging such as driving, shopping and other daily personal routines and chores. Following a recent bereavement – a Violet Carer can provide company and companionship, either short or long term. Post hospital discharge – where there is a dependence to have suitable support in place to help with rehabilitation. Leaving home – for younger adults attending university who require a personal assistant. Home sweet home – where you have tried residential care but found that home is where your heart is. Changing hands – when you want to change from another care agency. Violet Care will step in to ensure a smooth transition, with minimal disruption to the client. To stay together – For couples that wish to remain together within their own home. Live-in care can provide a cost effective solution as one carer is often able to look after both people. Time out – For partners, friends or family members who require respite care to enable them to take a much needed short break or holiday from caring for a loved one. 9. What’s the difference between a care home and live-in care? Care homes are residential care facilities which allow people to live communally under the care and supervision of nurses and care workers. People living in care homes may have their own private room with some creature comforts from home. Live-in care is when a dedicated care professional lives in the home with the person requiring care and, most importantly, companionship. 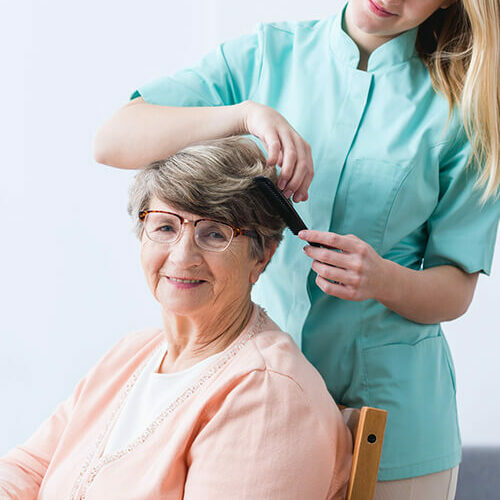 Not only can a care professional help with the daily acts of living—such as washing and toileting, meal preparation, eating and even some light housework—they also offer a comforting and friendly presence in the home. 10. How will live-in care impact quality of life? The beauty of live-in care is that it allows people to remain in their homes, amongst their friends and community, and to keep up with their social activities. For those with pets, it can save a heartbreaking separation. 11. How do I arrange care for myself or my loved one? You can contact our office between 9-5 on 01279 434444 and a member of our team would be happy to discuss what options are best suited for you or your loved one. Violet arrange a visit for every client so that we travel to your home then hand pick the right carer for you or your loved one. You can also fill out our online enquiry form and one of our dedicated team members will contact you back at your earliest convenience. 12. Can carers administer medication? Care professionals can remind you or your loved one when it’s the right time to take medicine by keeping track of medication schedules. Violet personal assistants can remind service users when to take medication, and Violet Carers can get the right type of medication and dosage out of the packet and prompt the service user to place it into their mouth. No care professional should ever place medication in someone’s mouth. 13. Will I have the same carer all the time? Generally, yes – because this helps to provide continuity and stability. These factors are particularly important for individuals living with dementia. This means you will have a main carer, with a second carer to provide cover when the main carer is on holiday. There may be occasions beyond our control whereby another carer will need to be introduced. This will always be discussed with you beforehand. 14. Won’t we get fed up with each other’s company? If the care package was not properly managed there would be a chance that this may be true. That is why Violet always ensures enough time off for the care worker every day and why Violet ask for a private bedroom. It is vital that, whilst the care needs are paramount, our clients don’t feel that they are being watched 24 hours a day. If there is a problem with personalities, then Violet are happy to find a replacement. 15. What training do Violet carers receive? abuse awareness of vulnerable adults. 16. What do I need to provide for the carer? They will need their own bedroom with two sets of bed linen and towels, and somewhere to hang their clothes. They will also need access to a bathroom, however this needn’t be a private bathroom. You’ll also need to provide them with the food to make their meals. 17. How does the recruitment process ensure quality and the safety of me or my loved one? This is a vital question to ask any potential care provider. A rigorous vetting process will ensure the carer you receive is highly experienced and of excellent quality. Vetting should include face-to-face interviews, background checks and collection of references. In relation to the background checks, make sure to check that the care provider has completed an enhanced DBS background check on the care professional which is crucial when working with vulnerable or older people. Many companies will also ask themselves the question “would I let this person care for my mum?”. If a care agency trusts a person enough with their own family, you can feel comfortable with them yourself. 18. How soon can Violet start providing care? Before care can start, our care assessor would visit and carry out a free care needs assessment at a time of your choice. Following this, Violet can generally start providing care within seven days. 19. Can the Violet Carer take the care recipient out? Absolutely, our Violet Carers are experienced in promoting independency and outings are a key part of that. 20. What happens in an emergency? In a medical emergency, or if there is a risk to safety, a Care Professional will immediately call 999, before getting in touch with family and your care provider’s headquarters. Care agencies will have procedures in place for reporting incidents like this. For non-urgent emergencies, companies will have contact hours. For example, Violet Care Agency’s are 8am-7pm, 6 days a Week. 21. How long can I book the service for? Our minimum period is normally 6 months (although if there is a specific need please talk to us about it). Violet can arrange anything from a few weeks post-operative recovery to long-term permanent placement. Because of the way Violet review all our care packages Violet will always know just what is needed and be fully responsive to any changes that need to be made. 22. What are the disadvantages of using a homecare agency? The main disadvantage is the cost of using an agency. The agency will charge a fee on top of the payment made to the care worker to cover their running costs and profit. You normally have to make a regular payment to the agency, which includes both the worker’s earnings and the agency’s fee. 23. What sort of support will the live-in care workers receive? Violet have a Care Supervisor who visits all our clients to ensure our target of complete customer satisfaction is achieved. Violet also provide a support system for our care workers both over the phone and by written communication, as well as support in person. Violet have an aftercare service which both the carers and our clients can take full advantage of. Violet regularly arrange days out for our carers and encourage them to socialise with other carers and help to facilitate this both with our ‘Violet Care Connect’ system and across a range of social media. Lots of our carers like to contact us on Skype so that they feel like they’re having a simulated face to face chat. Violet love to help in any way Violet can and Violet are always happy to try any preference of communication methods for both our carers and our service users. 24. Can I cancel it if I don’t like it? Yes of course you can. Violet also understand that sometimes personality clashes mean that two people do not get on very well. If you do not like your care worker Violet will do our best to accommodate your wishes. Because live-in care takes some time to set up and it is the care worker’s livelihood Violet do require you to respect the contracted notice period (this is individual to every placement). If there is a case of gross misconduct, the notice period may not apply. Please see your individual contract where this will be outlined in full; specific for every bespoke match. 25. Does Violet check on the progress of the carer and service user? Every client has an initial assessment visit to establish the needs and level of care needed. Every carer is required to complete daily updates that can be viewed by families on our Violet Care Connect page. Every three months Violet check in with both our client and our carers. 26. What is the cost of live in care? This depends completely on the type of care you need e.g. 25 hours per week just to help with personal care and difficult tasks like hoovering or round the clock palliative support. 27. Does Violet charge for an initial assessment? Yes, Violet charge an initial assessment fee of £295.00. Violet visit you to establish your needs and requirements and organise a personalised care plan. Violet do provide a nationwide service but are based in Harlow, Essex. For some locations, Violet would charge an extra travel fee for the initial assessment, but every client is treated as an individual and this would be discussed before booking your assessment. 28. Can I get help with payments for my care? The local authority can charge the service user for short-term stays in care homes (under eight Weeks) in one of two ways. They can assess the amount they should pay based on their income and capital and according to national rules. Alternatively, they can charge what they think is a ‘reasonable’ amount, although this should take account of individual circumstances and leave the person with enough money to run their household. There are national rules about how much the person should be left to live on. A financial assessment may be carried out to establish how much the person should pay. If care is provided in the person’s own home, the local authority can ask the service user to pay a ‘reasonable’ amount toward the cost. As with temporary replacement stays in care homes, the person must be left with enough money to run their home and to live. Instead of organising services directly, some local authorities may give people vouchers that can be used with local services. For more information contact the local authority or local carers centre. After a needs assessment, the amount of money identified as being necessary to meet the person’s needs is called a personal budget. A service user may decide to receive their personal budget allocation in the form of a direct payment. A direct payment is paid directly to the person, to pay for their care and support. They aim to give people greater flexibility and choice over how their needs are met. They can be used in a number of ways, such as employing a personal assistant, taking a break with a carer, or replacement care in a care home for up to four Weeks in any 12-month period. However, the direct payment can only be spent as agreed in the person’s support plan and it will be agreed in advance how it will be used to meet their needs. Carers may also be entitled to a direct payment depending on their need for support. Again, it must be used to meet the needs and achieve the goals identified in their support plan. A carer may hire a paid carer from an agency, for example to help with shopping trips, or they may use the direct payment to pay for a supported holiday or for education. The local authority can give information on personal budgets and eligibility. A person may be able to get help with the cost of funding replacement care or taking a break from a charity, grant-making trust or benevolent fund. Ex-service organisations, as well as those that support retired people in a particular type of work, may also help. The local carers centre or Alzheimer’s Society can advise on what is available locally. There may also be national organisations that can help. For someone receiving Carer’s allowance, their entitlement continues for a period of up to 12 Weeks inside a 26-Week time span, or until Disability living allowance (DLA), Personal independence payment (PIP) or Attendance allowance entitlement for the person they care for, stops. Consequently, a short period of replacement care, within these limits, should not affect their entitlement to Carer’s allowance. 29. Can Violet Care take payment from the council? Yes Violet can. Violet would just require the point of contact in the direct payments team to ensure payment is agreed.